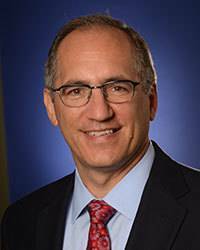 Dr. David Klein is the Chair of the Clinical Quality and Patient Safety Committee. The Committee supports the practice of USACS clinicians by developing Clinical Management Tools based on evidence based medicine. Additionally, the Committee is responsible for building the USACS Quality Program which will coordinate risk, quality and education to improve the care that we provide to all our patients. David Klein currently also oversees all the quality processes for the East Region. He was a senior leader in Legacy MEP and helped develop the risk and quality programs that were well integrated. Additionally, he was instrumental in supporting the growth of the APP program. David attended Brandeis University for his undergraduate studies and completed his medical education and residency at George Washington University in Washington DC.